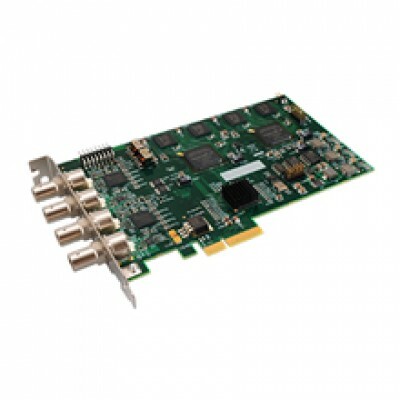 Datapath VisionSDI2 Dual Channel HD-SDI Video Capture Card it supports SD-SDI and 3G-SDI (including 2K Digital Film Resolution modes). 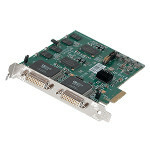 The VisionSDI2, a stand alone PCIe x4 plug in card, delivers extreme performance with 650MB/s transfer bus bandwidth. The VisionSDI2 is fully integrated with the Datapath family of video wall display products providing high resolution digital video support. 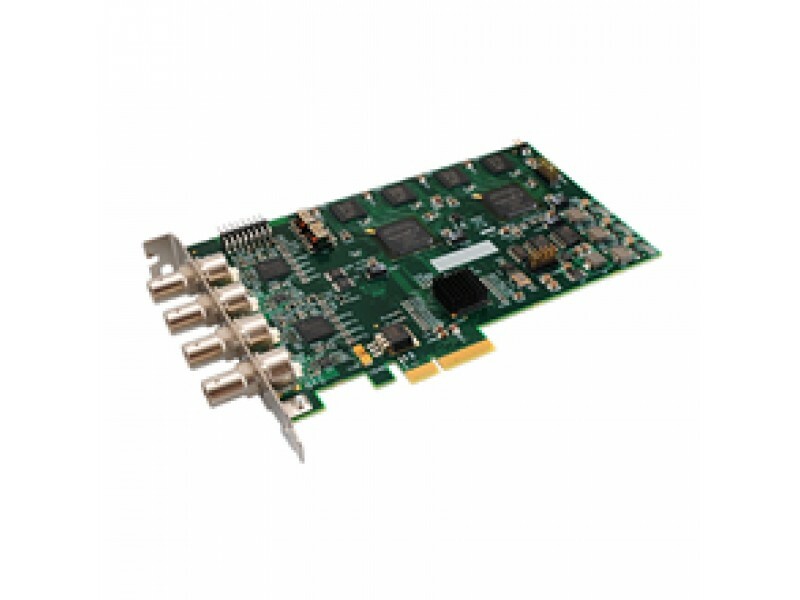 For streaming applications, the VisionSDI2 can be used with Windows Media Encoder to compress and stream captured video. To reply the video, use Windows® Media Player. 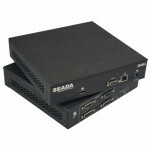 Any application compatible with Windows® DirectShow technology can use the VisionSDI2 due to it built-in WDM support. 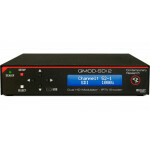 The VisionSDI2 is supplied with a powerful software application for configuring the format of the input sources and displaying the data. 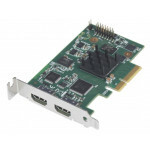 Simply connect your video source into the card, run the VisionSDI2 application to automatically detect the video source format and display the captured video in a window on your desktop. Wall Control presents a representational window of the entire display wall showing position and size of video windows. Datapath Wall Control software enables you to configure your multi-screen display, launch video overlays and create a wall layout configuration. With the full version it is possible to save layouts and recall them for future use and also operate Wall Control on a remote PC via a network connection.